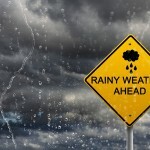 Tropical Storm Debby meandered slowly to the Florida coast on Sunday, bringing strong winds and waves that forced the closure of about a quarter of offshore oil and gas production in the Gulf of Mexico and spawning tornadoes that killed one person. Debby, the first named storm of 2012 to enter the Gulf of Mexico, was centered about 115 miles (185 km) south-southwest of Apalachicola, Florida and was nearly stationary, the National Hurricane Center said in its 7 p.m. CDT (0000 GMT) update. Debby, no longer expected to gain hurricane strength, packed winds of 60 mph (97 kph), the Miami-based center said. Citing a “significant change in the forecast track,” the NHC said Debby is expected to hit the Florida Panhandle near Panama City on Thursday as a tropical storm. “This forecast remains uncertain due to weak steering currents,” the NHC said. The NHC had previously predicted that the storm would track westward toward the Louisiana coast as a weak hurricane, spurring Louisiana Governor Bobby Jindal to declare a state of emergency. Debby has already disrupted nearly a quarter of Gulf offshore oil and natural gas production as big offshore operators like BP Plc and Royal Dutch Shell evacuated workers from offshore platforms in the path of the storm. The disruption could worsen in coming days, with Debby expected to enter some of the most prolific production areas of the Gulf, home to 20 percent of U.S. oil production and 6 percent of natural gas output..
Debby brought gale force winds and heavy rain to the Florida Panhandle and west-central Florida, the NHC said. Earlier on Sunday, it spawned tornadoes that killed a woman, severely injured a child and wrecked homes in central Florida in rural Highlands County, according to an emergency management official. In Alabama, a swimmer who went missing off the coast of Orange Beach is presumed drowned, according to the U.S. Coast Guard. Several Alabama beaches were closed due to rough surf. The NHC maintained a storm warning for the Mississippi-Alabama border, extended warnings for Florida’s northwest coast to Englewood, and discontinued warnings for the Louisiana coast. Residents were warned to expect storm conditions within 36 hours. “Tropical storm conditions are already near or over portions of the northeast Gulf Coast and are expected to reach the remainder of the warning area tonight,” the forecasters warned. U.S. officials warned Gulf Coast residents to watch the storm given its shifting forecast track. “History has taught us that storm tracks can change quickly and unexpectedly,” said Craig Fugate, administrator of the Federal Emergency Management Agency. Debby could bring total rainfall accumulations of 10-15 inches (25-38 cm) to the Florida Panhandle, with isolated accumulations of 25 inches. At Gulf Shores, Alabama, on the Gulf Coast, Sharon Edmondson made storm preparations as she gathered with about 100 family members for vacation. “As long as the family is together, I’ll take a hurricane alert at the beach over most any other normal day,” Edmondson said.